Home » Accessories » The Check Trend is Now in! Very few ladies wear checked clothes, maybe because it is seen as somewhat ‘different’ to many other styles. Checked clothes come in all styles and almost all clothing contains this lovely pattern, but still few seem to be seen in it. However, this season checks are really in and below are different ways you can adapt the new look by fitting checked attire in with your normal clothing! Read on and you never know it may just inspire you to purchase your first ever ‘checked’ accessory! Checked accessories and clothing can be ladylike and there is no rule saying they are just for men, oh no! Maybe now is the right time all ladies took advantage of the lovely design! 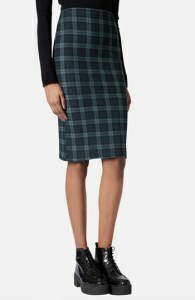 If you prefer wearing your clothes in a modest way, then a lovely Black Watch Print Tube Skirt with a blouse will work perfectly; you never know you may love the look so much that you adapt it for work. Checks come in different sizes so it’s a nice idea to mix and match accessories with two unique sizes. Wearing a mini checked blouse with a cardigan or coat over the top will also make a lovely combination. Merging two designs into one creates a stunning effect and will have you looking gorgeous. Checks and pleats make a flawless combination and there’s no reason for why you cannot try this look! 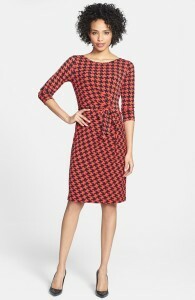 A lovely pleated skirt with a check pattern is what I’m talking about as it features both styles. If you want to adapt the checked look this season, but without wearing anything checked, then don’t worry as this is possible too! Using accessories to update your look is what you should do and when it comes to accessories; these are essential for every woman! A smart checked handbag or clutch will surely do it for you! A full on check look also appears ever so graceful and consists of mixing and matching checks, which can be so much fun and look highly stunning. By now you will have an idea on how to introduce checks to your daily life, just watch those heads turning twice once you do and how quick others follow behind!